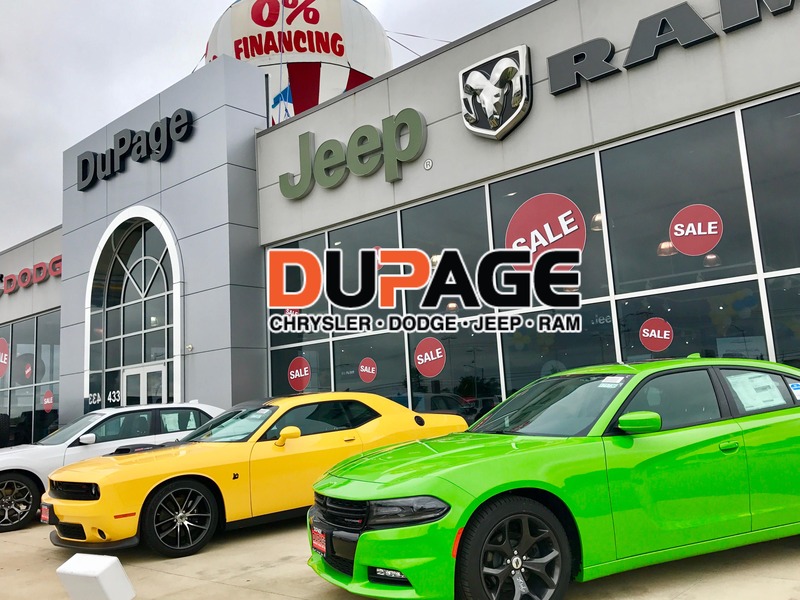 DuPage Chrysler Dodge Jeep RAM offers a strong and committed sales staff with many years of experience satisfying every customer’s needs. Whether you’re shopping for a new Chrysler Jeep, Dodge, Ram or quality used cars near Glendale Heights, our sales staff will work with you to find the perfect option, hassle-free. We offer a wide inventory of all of your favorite vehicle models like the new Dodge Grand Caravan, Jeep Cherokee, Grand Cherokee, RAM 1500, Chrysler 200, and more. We also feature many quality pre-owned vehicles, so you’re bound to find a car you love at a price that you can afford. Feel free to browse our inventory online, request more information about vehicles, set up a test drive or inquire about financing! We’ll work with you to find a financing plan that fits your budget. We work with all of our customers from the moment they walk in the door throughout the entire lifespan of the vehicle. Our service center has service technicians and parts specialists with many years of experience for all Chrysler, Jeep, Dodge, and RAM vehicles and are happy to help you keep your car in great condition through regular maintenance and care.